Dr. Schoengold is an associate professor in the Department of Agricultural Economics and the School of Natural Resources at the University of Nebraska and a faculty fellow of the Daugherty Water for Food Institute at the University of Nebraska. She received her undergraduate degree from the University of Wisconsin-Madison in math and economics and a Ph.D. from the University of California-Berkeley in Agricultural and Resource Economics. 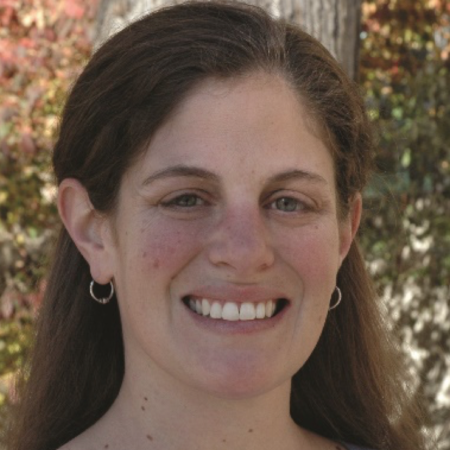 Her research focuses on understanding why producers choose to adopt conservation practices such as efficient irrigation technologies; and how water pricing and water markets can be used to improve long-term water management. She is a current or past board member of several professional organizations including the USDA Water Policy and Management Challenges in the West group and the Western Agricultural Economics Association. "My current and other ongoing work primarily focuses on my own state. I'm very excited about the opportunity to coordinate analyses across the states, along with coordinated data collection, and how that will facilitate better groundwater management for the entire region. Success for our project would mean having some influence on state legislatures and state agencies from across the Ogallala region and state agencies in other regions (e.g., California) that are trying to improve groundwater management. It will also mean contributing to research focused on other aquifers, and on students/educational programs related to water." Sun, S., J.P. Sesmero, and K. Schoengold (2016) "The Role of Common Pool Problems in Irrigation Inefficiency: A Case Study in Groundwater Pumping in Mexico" Agricultural Economics, 47(1):117-127, available online 7-JAN-2016, DOI: 10.1111/agec.12214. "Lessons to be Learned from Groundwater Trading in Australia and the United States" (with Sarah Wheeler and Henning Bjornlund), (2016), Integrated Groundwater Management: Concepts, Approachesand Challenges. eds. A.J. Jakeman, O. Barreteau, R.J. Hunt, J.D. Rinaudo, and A. Ross, Springer International Publishing. Schoengold, K., Y. Ding, and R. Headlee (2015) "The Impact of Ad hoc Disaster and Crop Insurance Programs on the Use of Risk Reducing Conservation Tillage Practices", American Journal of Agricultural Economics, 97(3): 897-919, available online: 9-Sep-2014 at DOI: 10.1093/ajae/aau073. Schoengold, K., D. L. Sunding, and G. Moreno (2006), "Price elasticity reconsidered: Panel estimation of an agricultural water demand function", Water Resources Research, 42, W09411, doi:10.1029/2005WR004096. Schoengold, K., and D. Zilberman (2005), "The Use of Pricing and Markets for Water Allocation", Canadian Water Resources Journal 30(1): 47-54.